BMX riders understand the importance of a solid performance bike and how that translates to fun on the course. Factors such as price, durability and quality can all be added up to create either a stellar bike that is the envy of all or a sub-par bike that does not live up to the hype surrounding it. Making the right decision leads to an awesome experience out on the track while making the wrong decision can be a disappointing experience that leaves much to be desired. While exploring the BMX segment of the market, the DK Cygnus 2011 bike appeared on our radar. 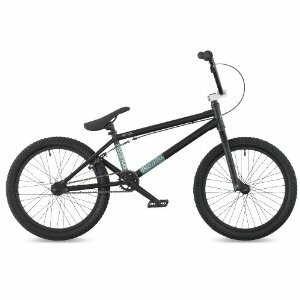 Currently priced around $290, this BMX bike has received many good customer ratings from all over. However, ratings alone are not enough to ensure the overall performance of a BMX bike and more research is needed to make a judgment call. In our quest to review as many performance BMX bikes as possible, we have selected the DK Cygnus 2011 BMX bike to be one of several bikes evaluated not only on its specifications but also its pros and cons. The DK Cygnus 2011 Bike has a lightweight frame thanks to the Chromoly alloy design, weighing just a pinch over 25 pounds in total. Riding uphill is a cinch with the gearing design; it was made for this purpose and performs very well. The rear U-brake is extremely responsive while the tires handle terrains from rocky hills to soft dirt very effectively. Assembly for this bike is also easy and virtually anyone can assemble the bike within an hour. The bike also holds up very well when dropped/knocked down/beat up; the Chromoly alloy is not just lightweight but strong as well. When it comes to any negatives, the DK Cygnus 2011 BMX Bike does in fact possess a few. For starters, the pedals are the most difficult part of the bike to install (before you discover that they are reverse-threaded). After installation, the hard plastic design of the DK Cygnus 2011 bike’s pedals can feel quite uncomfortable and they have been known to cause injury if the foot slips. The bike is also guilty of being incredibly fast when traveling downhill. If this is being used by a younger child, an additional front brake may need to be installed. The DK Cygnus 2011 bike is not perfect by any means, but when you consider the price and functionality, it is a remarkably decent-performing contender in the BMX market. For anyone who has been considering a new mountain/BMX bike and would like to walk away from the experience without spending wads of cash, the DK Cygnus bike may be the ideal solution. This entry was posted in Bikes, BMX, DK, Reviews and tagged BMX Bike, DK. Bookmark the permalink.